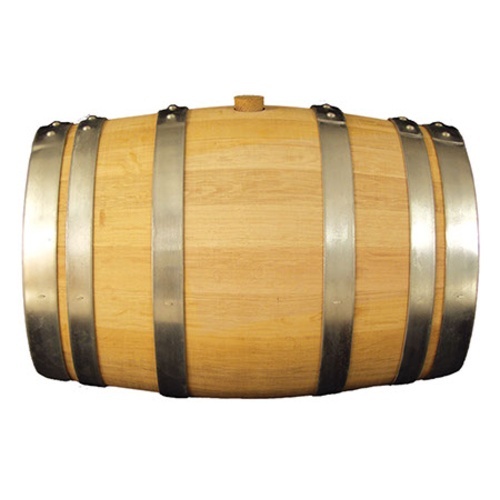 Originally starting as a keg company, A&K Cooperage has, for the last 25 years, focused solely on manufacturing American oak barrels. The barrels are made using the European technique of fire bending to make the wood more pliable. The staves are also air dried for at least 24 months and all the wood is sourced from Missouri. These barrels are medium toast and have a 2" bung. I make Petite Syrah from grapes grown in Sacramento and have always used American Oak. I neutralize the barrel with soda ash and leave PSO2 and citric acid solution in for year before filling with wine. Desire to age in oak, American is less expensive, prefer 30 gallon barrells due to room in y home winery.